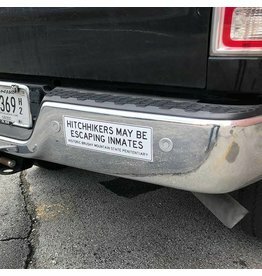 Back in the day escapees would try to hitchhike their way to freedom. 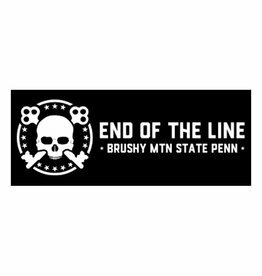 This is a warning not to pick up strangers! 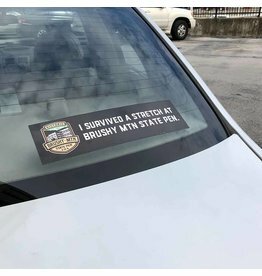 This bumper sticker is the perfect way to show everyone you survived a stretch at Historic Brushy Mountain State Pen. 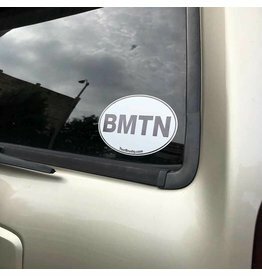 Oval stickers are all the rage for letting people know where you're from or where you have been.